Q1: What kind of equipment and service you supply? A1: We manufacture and sell all kinds of Concrete Batching Plants, Block Making Machines, Wall Panel Machines, Cement Silos and supply the service of Modifying & Re-erection of Used Concrete Batching Plant. Q2: Can you suggest us the correct equipment to use? A2: Yes, we are glad to know what your needs and advice the right equipment accordingly. Please contact us to discuss your requirement. Q3: Can you do cost budget and rewards on our investment? A3: Yes, our engineer teams could sort out the theoretical budget and rewards report as request, but we should be informed your local cost, e.g. land, raw materials, labors, power and so on, also the unit sell price. Or we will do it according to our current market for your information. Q4: Do you offer warranty on your equipment? A4: Yes, we offer a full warranty on new equipment purchasing. Q5: what size of the Cement Silos you have? A5: The regular size of our cement silo is 50T- 300T, and the biggest Bolted Type Cement Silos can up to 1500T and we accept customer order. Q6: Do you stock and supply spare parts? Q7: which payment terms you can do? T/T term: 30%T/T as deposit, the remainder 70% should be paid before shipment. Q8: Where is the port of loading? Q9: How long will your offer be valid? A9: We are a manufacturer, never greedy on windfall profit. Basically, our price remains stable through a year; we only adjust our price when the international currency exchange rate changed or the labor & raw material cost changed. Q10: How about the installation and commissioning on new purchases? A10: We will send our technicians to your place to guide the installation, commissioning and training your operator. You should pay for board(meals), lodging expenses and a daily allowance of USD$100 per person per day for our service engineer ; prepare the tools (crane, welding machine and electric wrench), the power and the materials for testing work; do the foundation work before our technician arrive your work site. Q11: How long it will take to erect the Mobile Concrete Batching Plants and Mobile Stabilized Soil Mixing Plants? A11: Normally, it will take 15 days to erect the Mobile Plants, but it depend on the condition of the job site. Q12: What’s the leading time for new brand Concrete Batching Plants? Q13: what’s the solution for used Concrete Batching Plants? Q14: Can you print other LOGO on your machine? A14: Yes, we can, and we also offer OEM service. Q15: What should I do if I experience a problem on our equipment? A15: You could email us the photos to show what happens or call us, and our service line is available 24/7, and then we will feedback you immediately. Also on-site technician service available as request. Q16: How much space is necessary for brick machine, wall panel machine and concrete batching plant? A16: Normally, a brick factory needs at least 3000m2 of land, wall panel factory needs 6000m2 land, concrete batching plant requires 3000m2 of land; the land area includes raw materials stacking, equipment area, office space, vehicle access , finished products area and so on. Q17: How many workers are needed for brick production line, batching palnt and wall panel production line? A17: Normal to meet a class of 8 hours of production, brick production line needs 3 to 6 people to complete, if it is two or three shifts, a corresponding increase in personnel. Batching plant normal operation needs 4 to 6 people. Wall panel production line operation roughly in the range of 10 to 20 people according to the capacity. Q18: What are the preparations for buying a brick making machine, wall board machine or mixing plant? A18: The foundation before installation shall be ready, the water and electricity should be connected. Before the test, it is necessary to prepare enough raw materials to test machine. During the training, the workers in practical operation should learn and operate on site. Q19: The durability of the block making machine? A19: The main steel structure equipped with Q235 heavy duty steel, it’s durable. The mould frame is made of 16 Mn steel, the press board made by 1045 heavy duty steel, can press more than 100,000 times. Equipped with Panasonic PLC and frequency transformer; SIEMENS electric element. Equipped witorthman hh Nydraulic pump and valves. Under regular operation, our machines can running more than 20 years, while it depend on the daily maintenance. so after you finish the project, you can sell it as 2nd hand machine. Q20: The reliability/efficiency of block machine? Q21: The reliability/efficiency of brick machine? A21: We will supply the maintenance manual book, which will figure out the details of maintenance items and schedule, and how to do it. We will supply one set of the spare parts for one year standby use, which will be shipped out together the cargo containers. Q22: Are you original manufacturer? A22: Yes, S.L Machinery is a well-known official leading manufacture in construction machinery in China and we have the reasonable series products you need. Q23: How long will the delivery time take? A23: Normally it will take about 35-40 days to produce the ordered machines. Most of the time, we can have an immediate delivery of our regular machines in 30 days. Q24: Can I visit your factory? A24: Of course. We warmly welcome you to visit our factory. And we provide you great services like airport pick up, hotel booking, etc. Q25: How many days are used for installation of one block plant? A25: Around 25-30 days, according to local situation. Customer has to finish the concrete foundation before sending engineer to your country. Q26: Which countries your equipment have been exported? A26: Saudi Arab,Algeria,Thailand, Philippines, Indonesia, Myanmar, Russia, Bangladesh, Kazakhstan, Uzbekistan, Russia, Romania, Somalia, Kenya, Malawi, Nigeria, Togo, Mozambique, Oman, South Africa, Peru, Chile, Colombia, Venezuela, Australia, etc. Q27: How can I receive remote support for my plant? Q28: What is the price of your brick making machine? A28: We have different capacity of our block machines, so pls show us the detail block or brick you want to produce and also how many pcs per hour that you required so we can recommend the good model and quote you detail price. Thanks. A29: We are the professional manufactuer of block machine, EPS lightweight wall panel making machine and conrete mixing plant. Q30: What is your company advantage? A30: Our compnay has more than 20 years experience in the the field of block machine. We can not only offer you the machine but aslo the comprehensive service, one-station service. 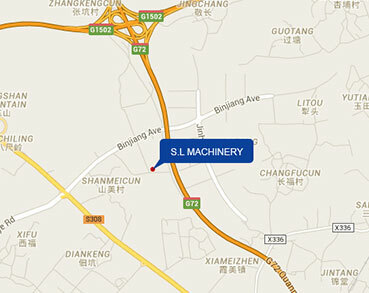 A31: We are located in QUANZHOU City Fujian Province China. Q32: How many countries have you sold to? A32: Our machine has been exported to more than 102 countries and regions, up to 5000 users. Q33: When did your compnay establish? A33: Our company establided in the year of 1993. 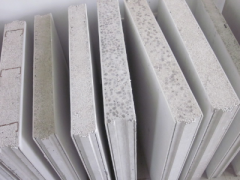 Q34: What are the raw materials about wall panel? A34: We can offer you the formula for reference, such as: cement, fly-ash, foam agent, EPS and some additives. the face board is fiber cement board and etc. Q35: Where can I see the video or worksite about machine working? A35: We had video on our website, and we also can send you the link on youtube. Welcome to visit our factory, and we can take you to visit customer worksite. Q36: How much about your production line? A36: It depends on your requirement, what capacity you need? and what product you want to make? We can quote according to your requirement. Q37: What is your business concept? A37: We will try our best to provide the users the products with high quality, competitive prices. excellent, thoughtful and fast service. Accept the suggestions for improvement put forward by customers in an earnest way. In accordance with changes of the market, provide the products and services to meet the users’ needs and create values for them. Q38: Can you advice us about how to establish factory? A38: Yes, we will provide technical consultation as well as the advices on the plan of factrory establishment. Q39: What is your technological advantage of block machine? Q40: What is your technological advantage of double layers wall panel machine? 6. Wall panel length is adjustable. Q41: What certificate do you have for the block machine? A41: We fully implement ISO 9001 Quality Management System, ISO14001 Environment Management System, OHSAS 18001 System, and products have been granted CE Certificate. Q42: We are new to this field, will you recommend us the suitable machine? Q43: What is your warranty? A43: We are responsible for all the repairs that caused by our quality problems within one year’s warranty. Foreign accessories are generally delivered by DHL in orde to provide service for foreign customers promptly. Q44: If it is not available to get the visa to our country for installation, how do you solve it ? A44: For some counties whose visas are difficult obtain, you can also send you technicians to our company to receive free guidance and training. Q45: If the warranty expired, will you continuely to provide us after-sale service? A45: The customers whose products have passsed its warranty date are entitled to enjoy our after-sales service for life. Q46: What Raw Materials can be used for making blocks and bricks ? A46: Cement, Sand, Fly ash, Coal residue, Coal wastes, Sand, Crushed Stone ,Construction wastes ,etc. 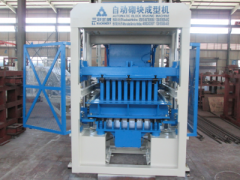 Q47: This machine can make different types and designs of blocks & bricks? A47: Yes, the same machine can make different types and designs of hollow blocks , solid bricks, color pavers, curbstone etc. it only need change different moulds accordingly. Q48: How much area needed for simple production line? Q49: How much area needed for fully automatic production line? Q50: How many manpower needed for the simple production line? Q51: How many manpower needed for fully automatic production line? Q52: What is the delivery time for simple production line? A52: Within 35 days after receive the deposit and the confirmation of factory layout drawing and mould drawing from the buyer . Q53: What is the delivery time for fully automatic production line? A53: Within 60 days after receive the deposit and the confirmation of factory layout drawing and mould drawing from the buyer. Q54: What is your block machine moulds manufacturing technique? For the head presser: also use 16mn raw material, milling, adjusting the quality and disposing, milling, fine processing. Q55: What is your block machine Material requirements? A55: The basic material is cement, sand and aggregate. Q56: What is the available raw material for wall panel machine production line? A56: Alumina cement/ common Portland cement, fly ash/cinder, perlite, (wheat) straw, grain, saw dust, ceramic sand, flotsam EPS/polystyrene and admixture etc. Q57: What is the wall panel sizes? Q58: How many workers needed for wall panel production line? Q59: How much is your wall panel Production line staff noise value? 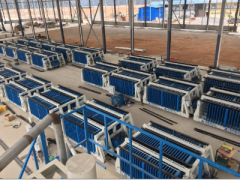 Q60: Is there any wastewater for wall panel machine production line? A60: The production line has a sewage system, every day before get off work all the waste water will flow into the sewage pool, in order to prevent sedimentation in the pond our production line equips with a stirring device, which will stir constantly, and finally through the water pump delivers the wastewater to the mixer to mix with the cement, fly ash, EPS beads to form the wall panels, so there is no any sewage caused. 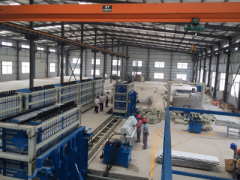 Q61: What is the Process of EPS wall panel production line?